Kensett Lions Club meets every other Tuesday evenings at Bethany Lutheran Church or Elk Creek Lutheran Church in Kensett. They are instrumental in supporting the Kensett Little League Baseball program. 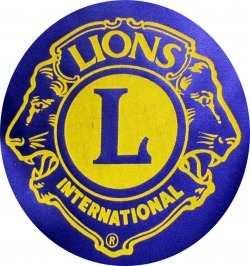 The Kensett Lions Club was organized May 11, 1948. There were 17 Charter members. Members have numbered between 17 to 20 members at a time. During the early years the club members, with the help of other local talent, sponsored an annual minstrel show with was well accepted and a good fund-raising project. This is strictly a service club, and most of the funds raised have been spent in the community. Their larger projects include buying the curtain for the gymnasium, and the building of a park including shelter house, tables, benches, etc., along Highway 65. The club helped considerably in getting the Kensett Library started, and they have sponsored the Boy Souts, Cub Scouts, the Midget and PeeWee baseball program, and the Red Cross swimming program for many years. The club celebrated its 25th anniversary in May 1973. Their fund raising project is mainly their annual chili and vegetable soup supper in the fall and manning the Bingo stand at the Worth County Fair each year. The Izaak Walton League was organized on October 23, 1956. During the year 1960 the members built the clubhouse situated one-half mile north of Kensett where meetings are held and during the winter months several fish-fries are held with good attendance. The Green Shamrocks is a girls club that is heavily involved in community service. The Brookfield Boosters Club is a girl/boy club which is involved in many agriculture areas.